As part of our 2013 Daffodil Show the Greater St Louis Daffodil Society set aside a special area for children to explore daffodils. 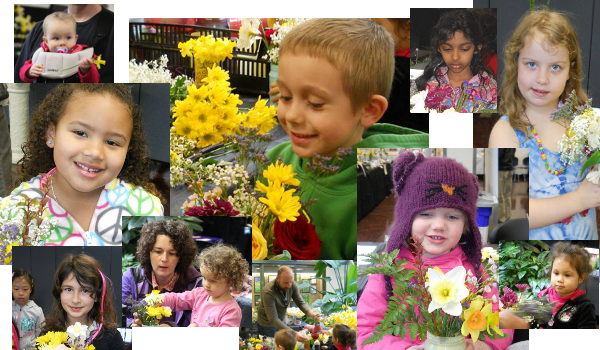 Our youth not only had the opportunity to see loads of daffodils at our annual show, but they were also able to touch and appreciate daffodils in design and horticulture. Once again our youth coordinator, Jason Delaney, worked with the youth to create their own unique floral designs using daffodils, explore how daffodils distribute moisture to the bloom using colored water, and create unique daffodils using cut-out paper designs. Children and adults alike had a wonderful time.